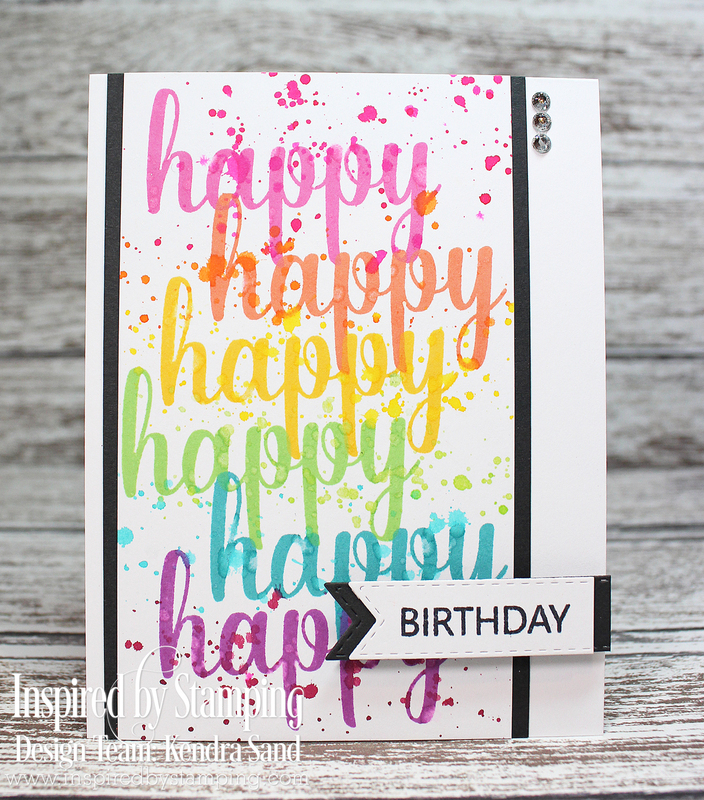 Welcome to the final day of Inspired by Stamping’s July 2017 Release! What an ABSOLUTE AMAZING release it has been!! I am so in love with all of the new stamps and dies!! There are 3 new stamp sets and 2 new coordinating die cuts in the store, be sure to check them out!! You can visit us by clicking here! I am so excited to share with you this next card! I had so much fun creating it!! 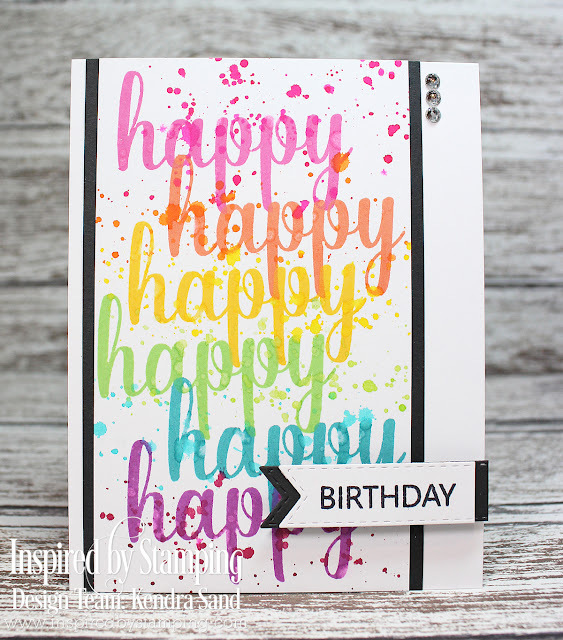 I stamped the 'happy' sentiment from the new Happy Stamp Set multiple times on a piece of white cardstock, each time in another color ink. Somewhat to resemble the rainbow!! I then took some of my mists to splatter ink on the piece of cardstock! I really like how it turned out!! Make a mess, but was well worth it!! I also stamped the 'birthday' sentiment from the set on a banner to add! 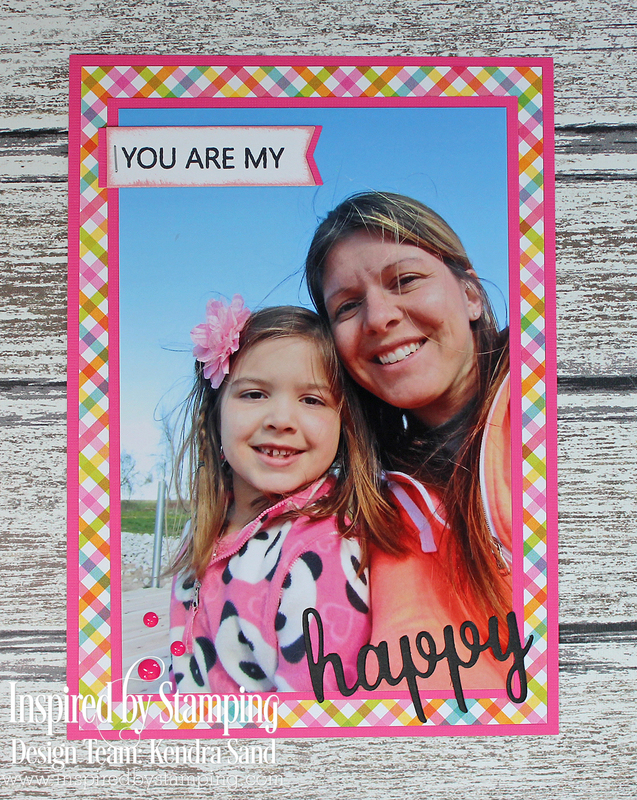 Next up I used the 'you are my' sentiment from the Happy Stamp Set to create a banner for this super cute little project life page I created for my daughter's album!! I then die cut the Happy Die from a piece of black paper to add to the bottom right of the layout! Such a sweet photo of myself and my mini-me!! I just love how these new stamp sets and dies are perfect to use for project life and/or scrapbook pages!! Be sure to check out all of Inspired By Stamping's products! To Celebrate this release, Inspired by Stamping is giving away a $25 gift card to three lucky winners! 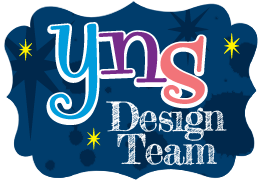 Please leave a comment on the Inspired by Stamping Blog by Sunday July 16th at 11:59 pm EST for a chance to win. The winners will be announced on Monday July 17th. These cards are delightful, Kendra. How clever to incorporate the photo. I have a friend who creates photo cards. We could partner to create combo cards! Thanks for sharing these cards. Beautiful creations Kendra! I love your pic of you and your daughter!! Oh very bright and cheery, Kendra, the card colouring is really well coordinated as is the scrapping layout, it's good to,see it in both media. Darling page and fun card!! What a useful die!! Great cards. Love the colors of the Happy card. Beautiful picture of you and your daughter. LOVE your HAPPY Card... super CUTE! And what a beautiful picture of you & your sweet girl. Beautiful!